There is a school in Elk Grove Regional Park that is filled with history, but most people who see it there do not know about its past. They more than likely wonder why the little one room schoolhouse is sitting there in the park and what it is supposed to represent. The little school sat empty for many years, but it has a new life now. 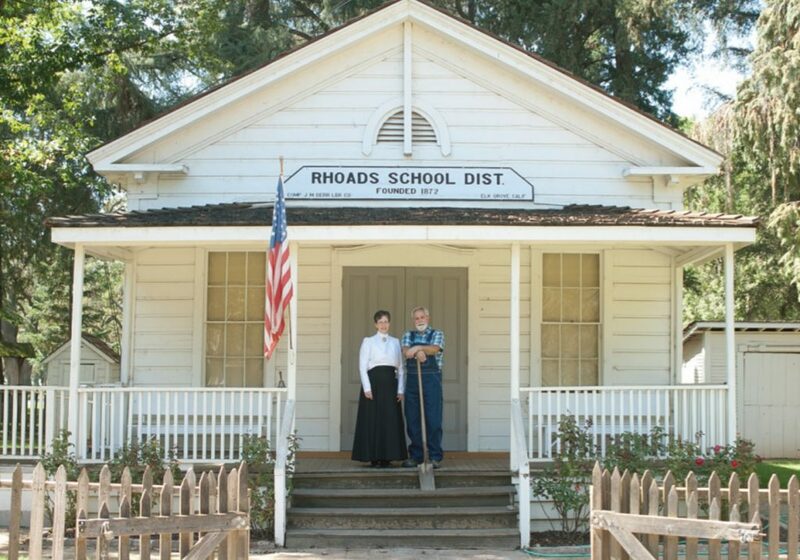 The Rhoads School is once again educating children with a Living History program that is sponsored and organized by the Elk Grove Historical Society. Take a trip to the past and learn the story of this amazing school and how it made its journey to Elk Grove Park by reading an article from the Ardent For Life Magazine, Autumn 2016 issue – printed with their permission.